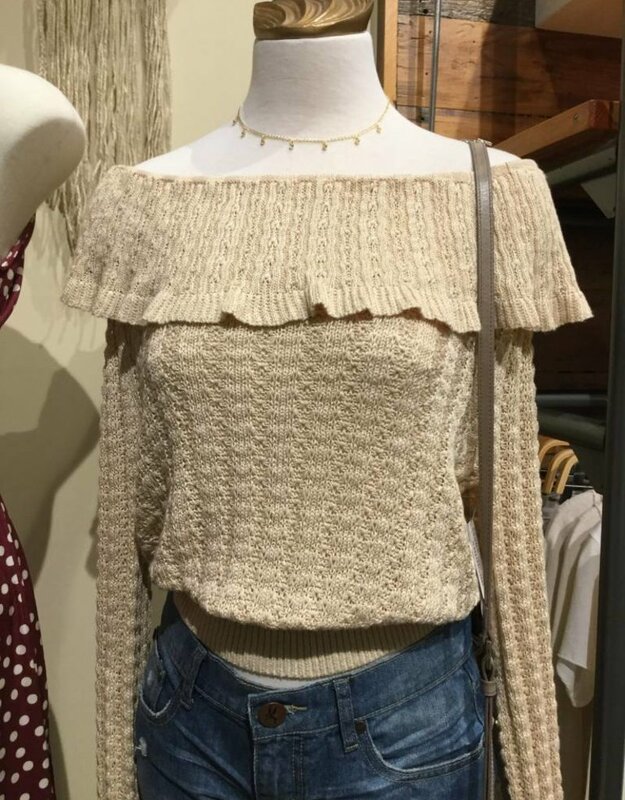 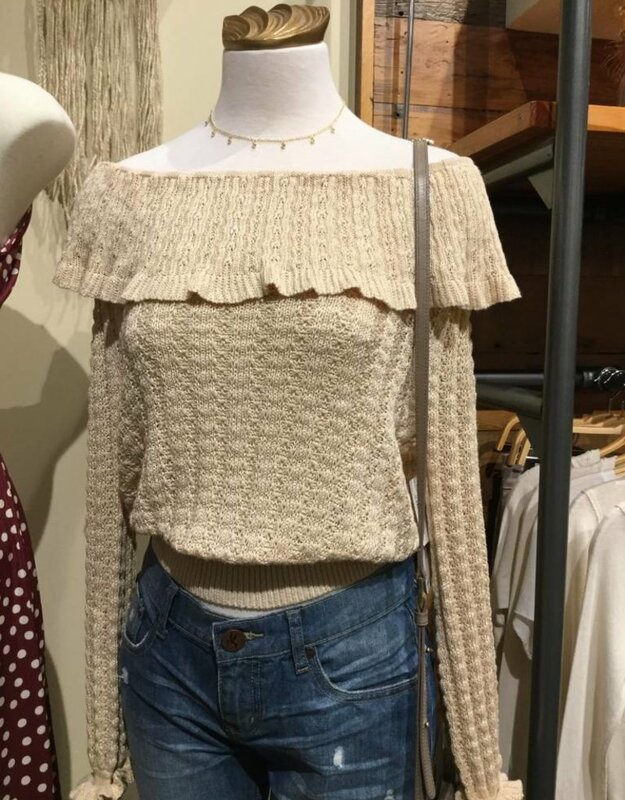 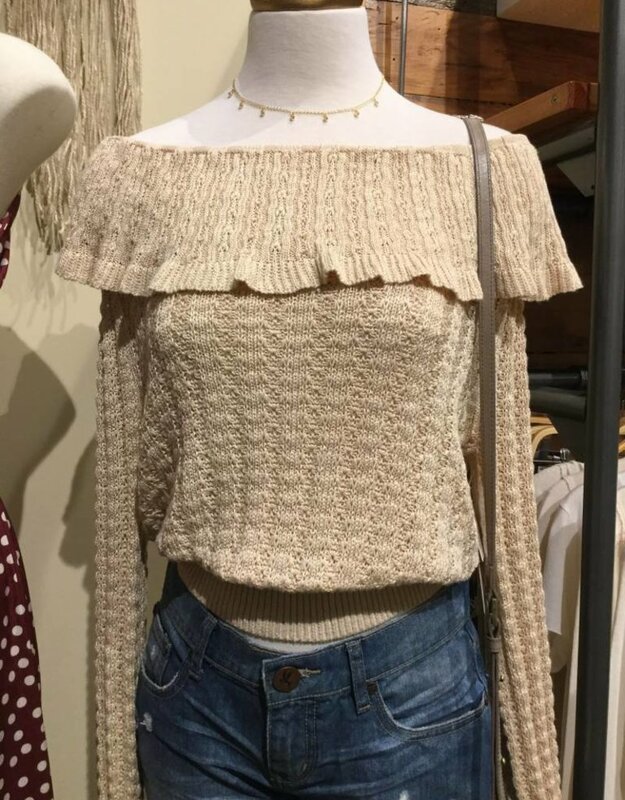 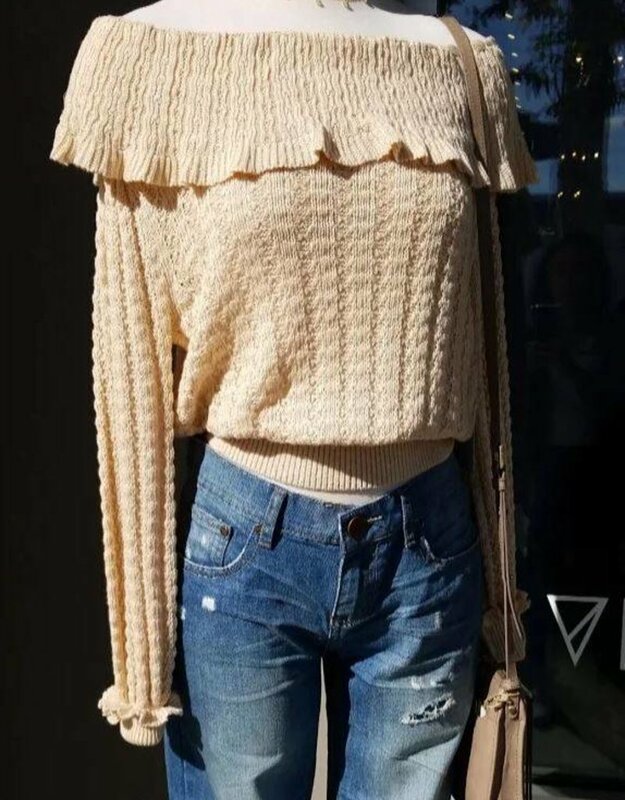 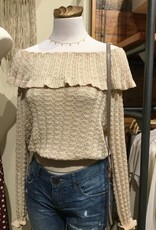 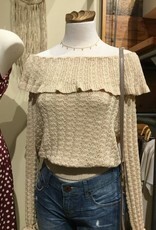 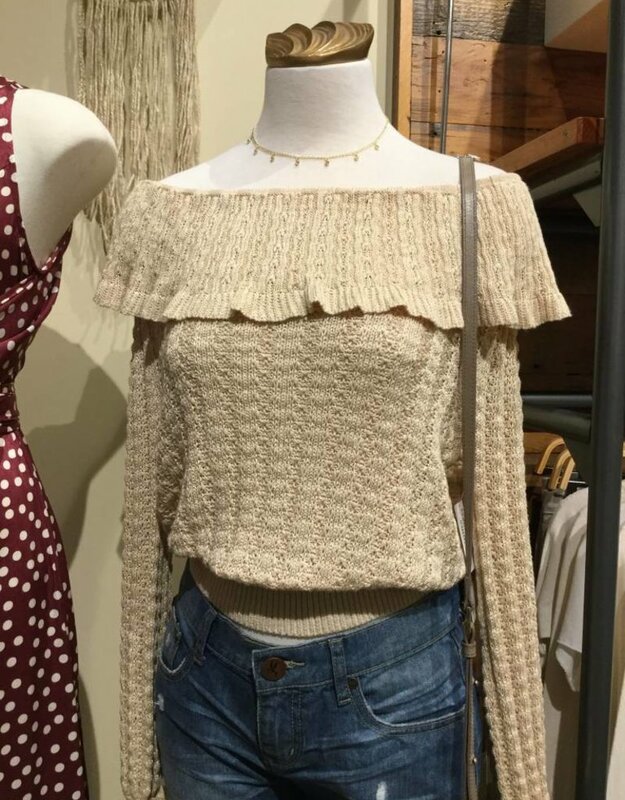 Fall in love with this super feminine Off The Shoulder Sweater. 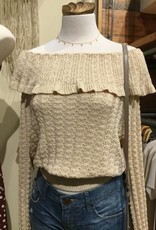 Ruffles give this sweater an elevated feel and knitting details give a vintage vibe. 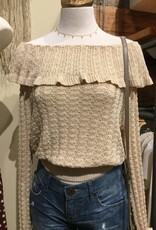 Pair with anything in your closet.